It has been the subject of more enthusiast magazine build stories than any other car and has graced the cover of Popular Hot Rodding (PHR) countless times. It even played a supporting role in “Hollywood Knights” serving as the supercharged transportation for Tony Danza and Michelle Pfeiffer. 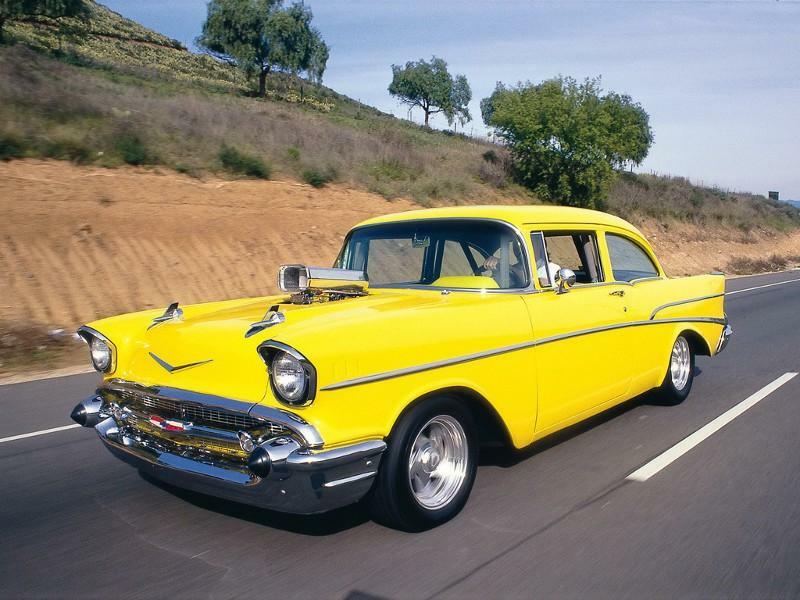 The car is Project X, the most famous 1957 Chevy ever built…and rebuilt. 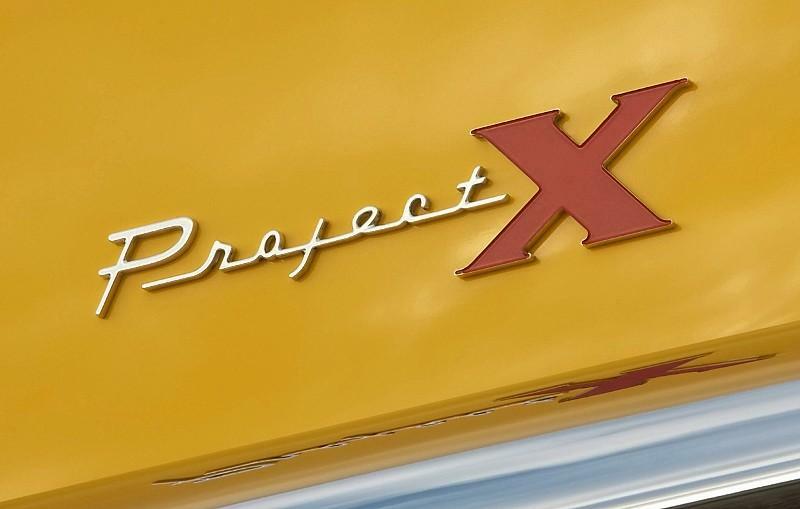 Since its debut in PHR more than 40 years ago, Project X has served as a rolling, evolving test bed of high-performance parts and a bell weather of automotive culture trends. 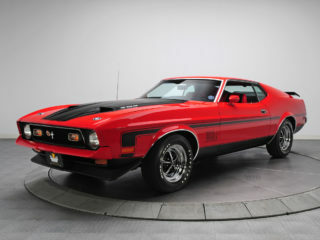 But while this perpetual project car has never absolutely been finished, it has undergone several complete rebuilds… transformations that have contemporized its performance and styling. 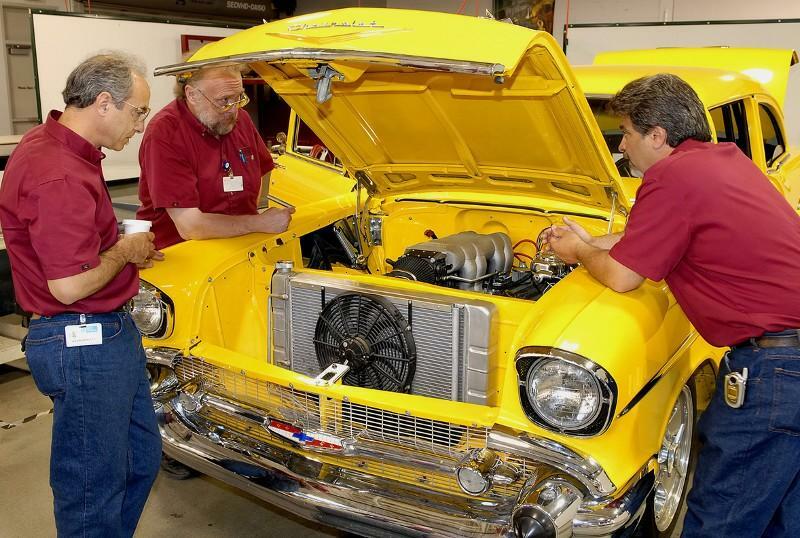 General Motors and PHR collaborated during the past year to redesign, restore and re-power the iconic yellow shoebox, including the first of a limited number of Anniversary 427 crate engines. PHR entrusted Project X with GM Performance Division, which took the car to its Warren, Mich., home for a frame-off revitalization. 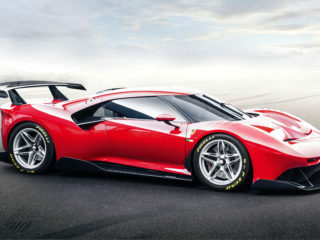 The car was updated with a contemporary spin on the Pro Street theme, with a modified Corvette front suspension, four-link and mini-tubbed rear suspension and more. 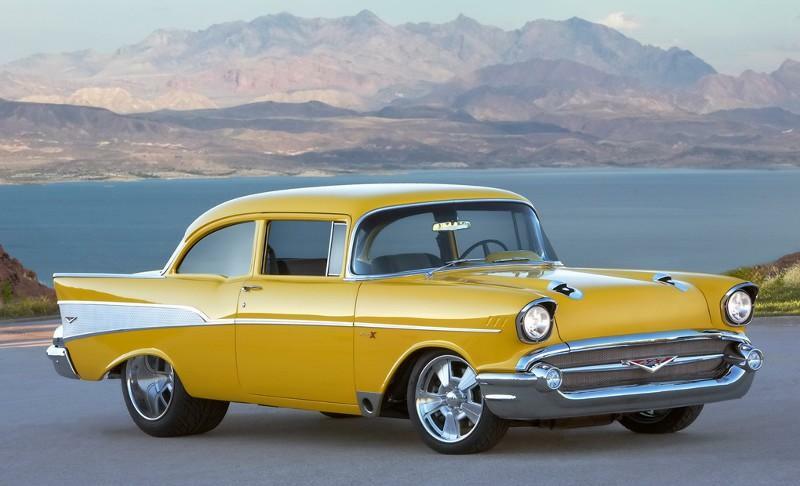 But while Project X has traditionally been a platform for aftermarket performance, GM Performance Division restored it with a great balance of O.E.M. parts and craftsmanship, complementing a roster of components supplied by the performance industry’s top manufacturers. Nestled in at the front of the frame rails is the all-new Anniversary 427 big-block crate engine from GM Performance Parts. It is a modern re-creation of the mythical, all-aluminum ZL-1 427 engine. It is underrated at 430 horsepower and 450 lb.-ft. of torque, like the production engine was in 1969. Only 427 of the special engines will be built. 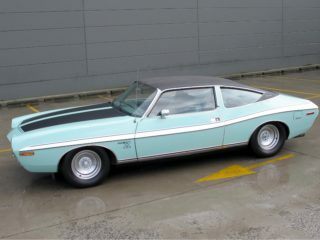 Production of the Anniversary 427 is based on the aluminum block’s original tooling, which was thought to be lost after production of the original ZL-1 engine halted in the early 1970s. GM Performance Parts oversaw the refurbishment of the tooling and updated some design features of the cylinder block, such as the addition of screw-in galley plugs. The block casting also was strengthened in key areas. 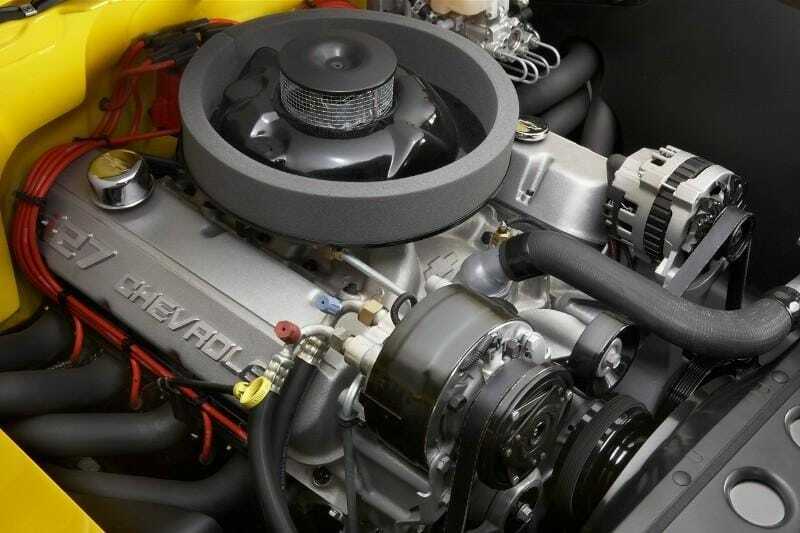 All of the limited-edition engines come with natural-finish, “427 CHEVROLET” script valve covers that are serialized, per their build in the 427 unit run. Also, every engine comes with a matching-number owner’s kit, adding to its exclusivity. 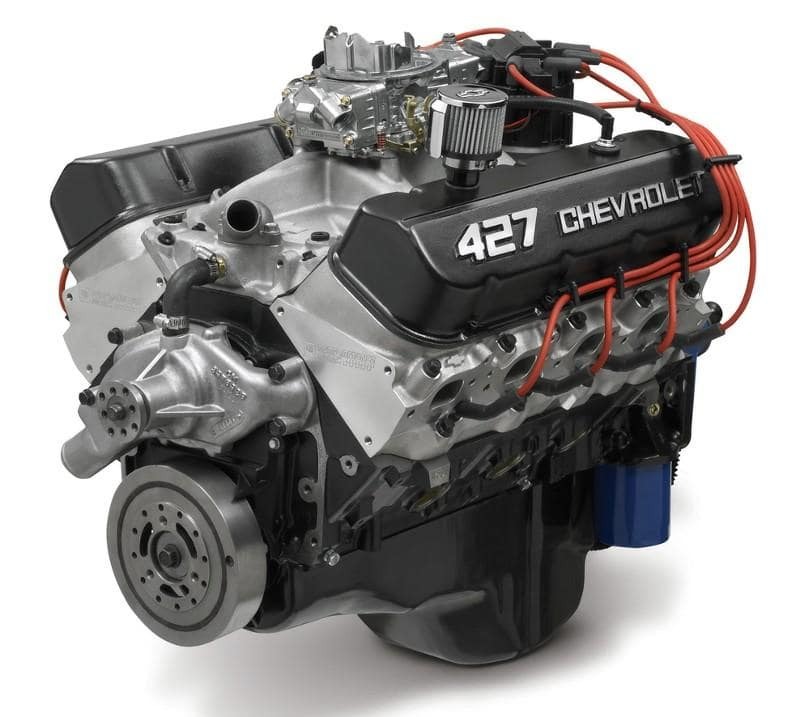 The Anniversary 427 has a 10:1 compression ratio, all-forged reciprocating parts, a roller camshaft, aluminum oval-port heads with 2.19/1.88-inch valves, HEI ignition and an 850-cfm four-barrel carburetor mounted atop an aluminum dual-plane intake manifold. Exhaust exits the Anniversary 427 through custom headers that are routed through the front fenders. They are connected to a remote-activated cut-out switch that allows the gases to pass through a conventional exhaust system to the rear of the car during street driving, or through more direct, unrestricted openings behind the front wheels. Backing the Anniversary 427 in Project X is a heavy-duty Richmond five-speed manual transmission, which channels torque to a Strange Engineering S60 rear axle that’s fitted with 3.73 gears. This all helps spin a set of massive 20- x 15-inch rear wheels. 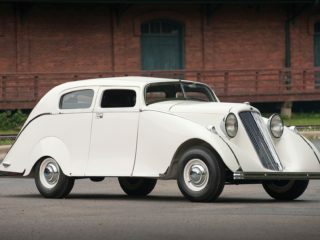 Budnik built the one-off rims for Project X, which melds period five-spoke styling with contemporary proportions. They have satin-finished center sections with polished outers, including the matching 18- x 7-inch front wheels. The tires are from Mickey Thompson. 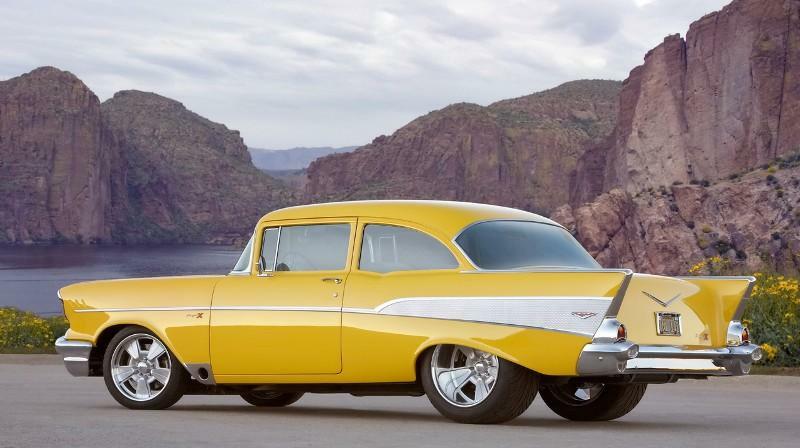 The rear frame rails were narrowed five inches to accommodate the oversized tires. 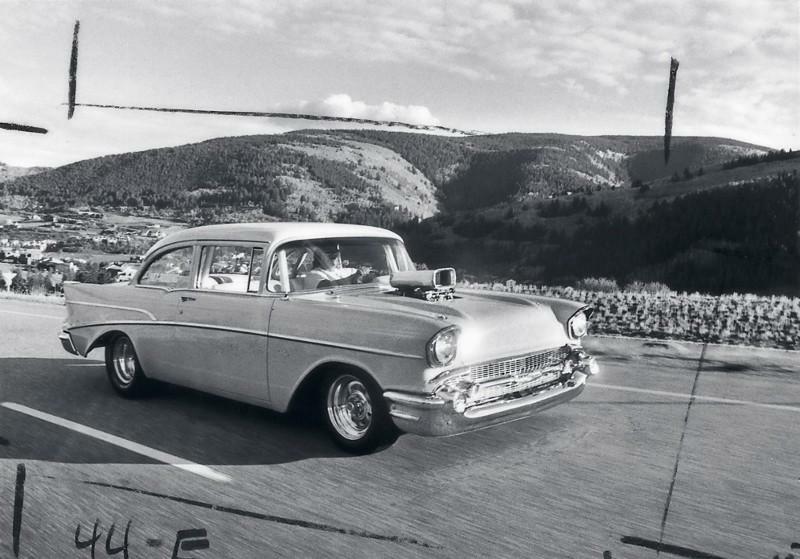 To hold up that heavy-duty drivetrain, while also ensuring safe, comfortable and responsive driving performance, the GM Performance team created a rear suspension featuring a triangulated four-link design with QA-1 coil-over-shock components and Art Morrison control arms. At the front, sections of C6 Corvette rails are used. 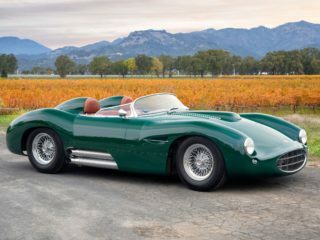 They were spliced onto the Chevy’s original frame, enabling a complete Corvette front suspension system to be used, including the disc brake system with 14-inch rotors (Wilwood discs with 10-inch rotors are used at the rear). A custom front stabilizer bar was created for the car by Addco. The Corvette suspension provides Project X with vastly improved ride and handling characteristics, attributes that were enhanced with a strengthened front-end structure. The new core support structure also integrates a custom Griffin radiator and the condenser for the Vintage Air climate system. 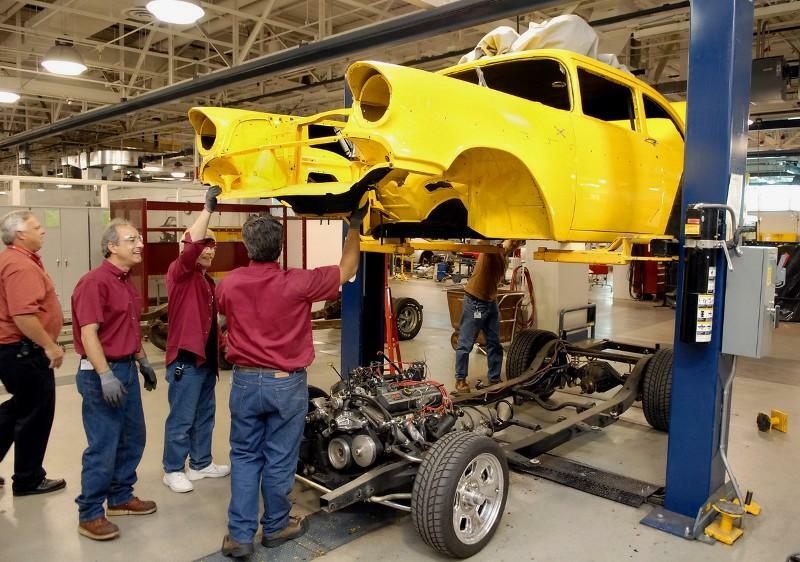 GM Performance Division engineers and technicians added a new subframe and reconstructed the core support area at the front of the chassis, while also adding structure to other sections of the Project X’s front end, including an pair of additional body mounts. To free up more space under the hood, and prevent the classic Chevy headache caused by the bulky latch, the stock hood latch was replaced with Solstice latches. Also, the stock hood hinges were swapped for Cadillac STS trunk hinges and hydraulic support lifts. Like so many of the details throughout the car, the body and paint work look simple enough at a glance, but represent untold hours of planning, execution and attention to detail. The body was removed from the frame during the restoration and completely reworked. 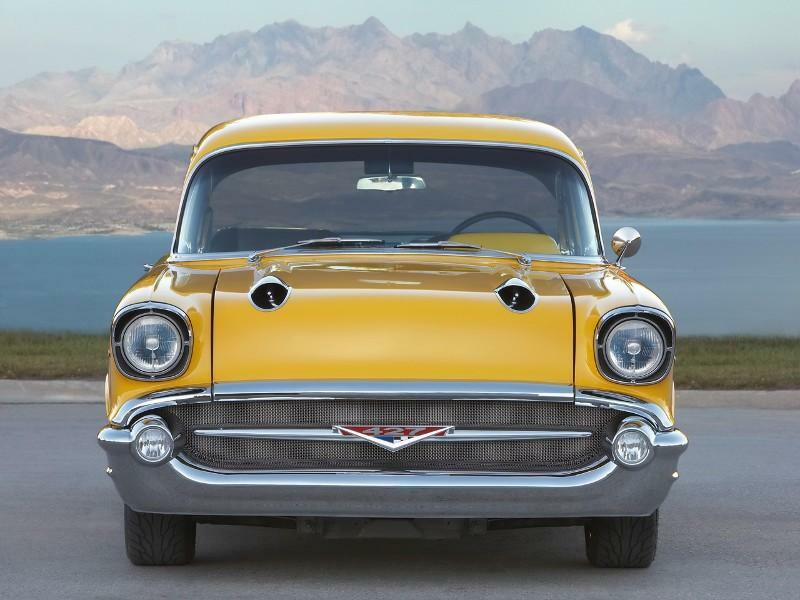 At the front, the iconic bumper/grille was re-done with a custom, billet aluminum grille bar, outfitted with a “427” emblem, while the grille has a unique mesh pattern. They now serve as ram air induction inlets, feeding a custom air box mounted to the underside of the hood. On the hood, the iconic “gun sight” ornaments were removed and their housings enlarged by 50 mm. When the hood is closed, the air box fits over the Anniversary 427’s carburetor, which is fitted with an L-88-style flame arrestor. 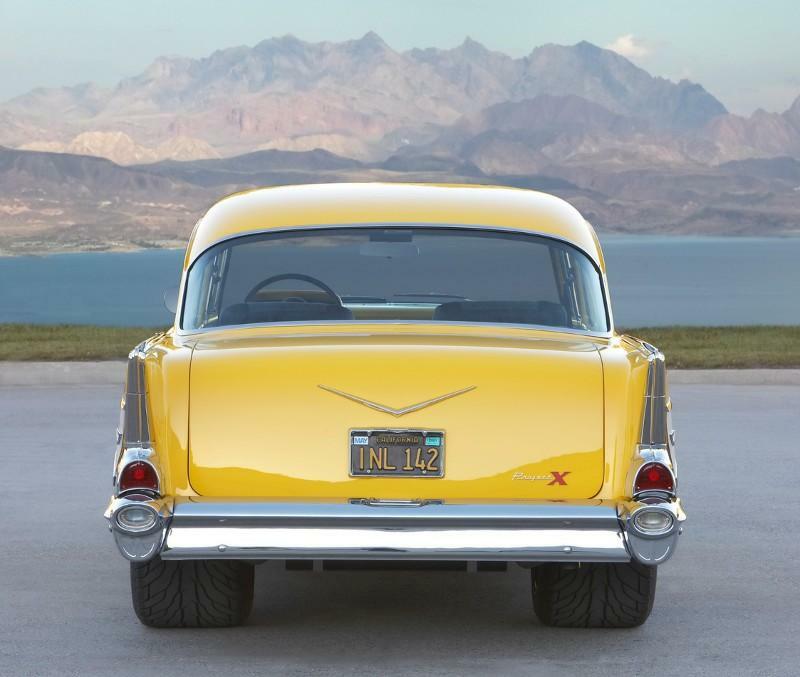 In fact, the rear trim section, which was comprised of three pieces originally, was reproduced as a single piece that more than seven feet long. 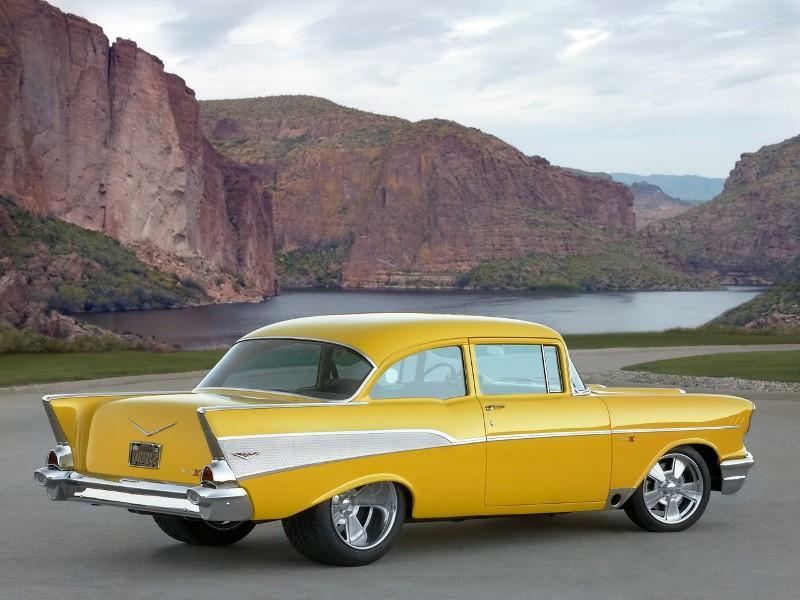 Along the flanks, the signature ’57 Chevy side trim has been re-created in CNC-milled billet aluminum. 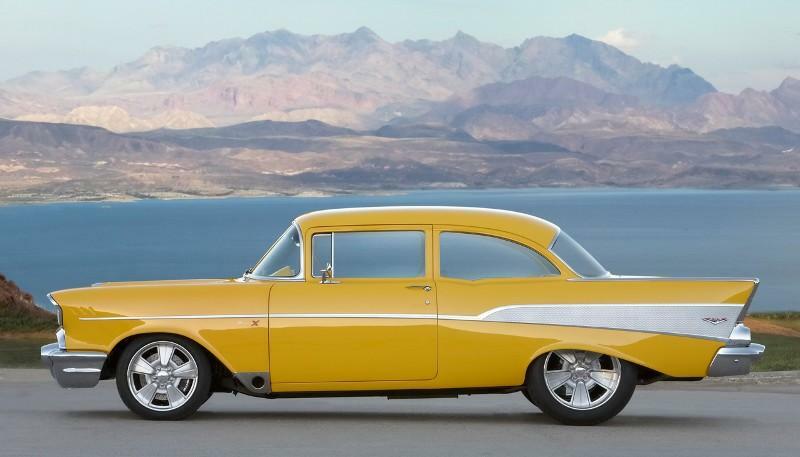 And though Project X is a “210” model, the builders “filled in” the rear trim section with a stylized version of the Bel Air insert incorporating countless brushed-style “X” insignias. 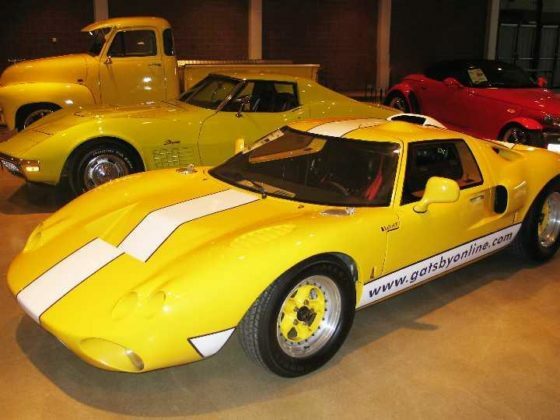 And because Project X has been yellow since its inception, it was re-sprayed with a new Corvette Z06 Millennium Yellow hue. As with the exterior, Project X’s cabin was completely dismantled and rebuilt, with plenty of subtle details and tricks. 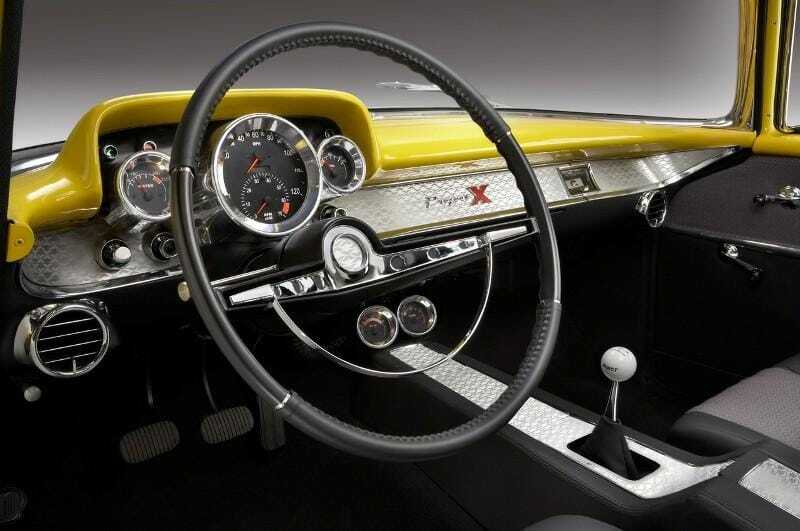 The dashboard, for example, was custom-built with billet aluminum inserts that carry the same “X” logos as the exterior Bel Air trim panel. A full set of Custom Rod Gauges instruments, built specifically for Project X, fills the panel in front of the driver. The dashboard also houses factory air conditioning vents that serve as outlets for the aftermarket Vintage Air climate system. 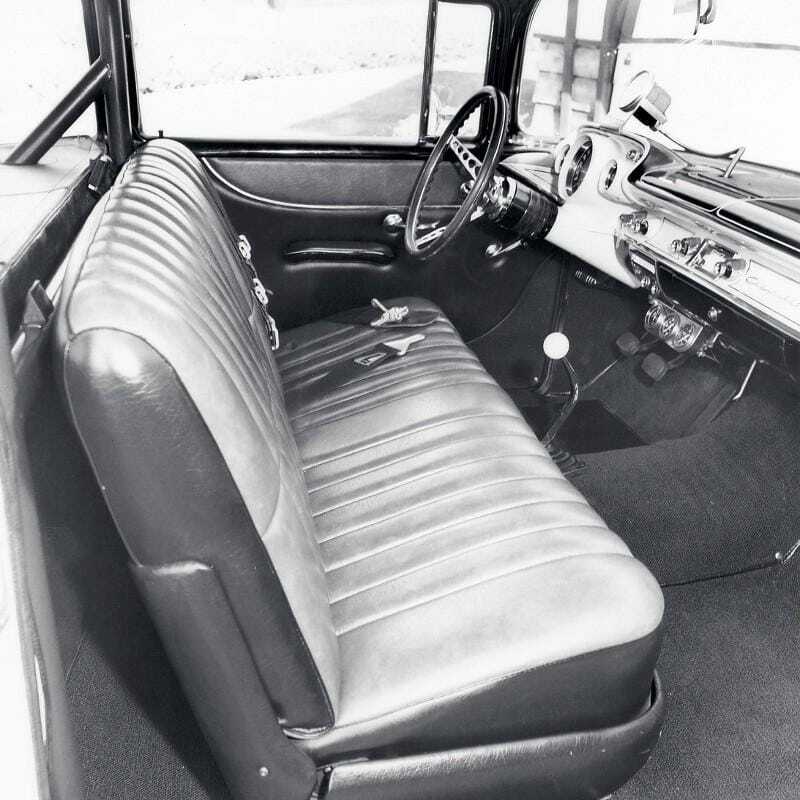 The rear seat is from a 1956 Buick and it was modified with an aluminum center trim panel. The front seats began life as Cadillac STS units and were modified to give them a chopped-down, slimmer look, including the removal of the headrests. 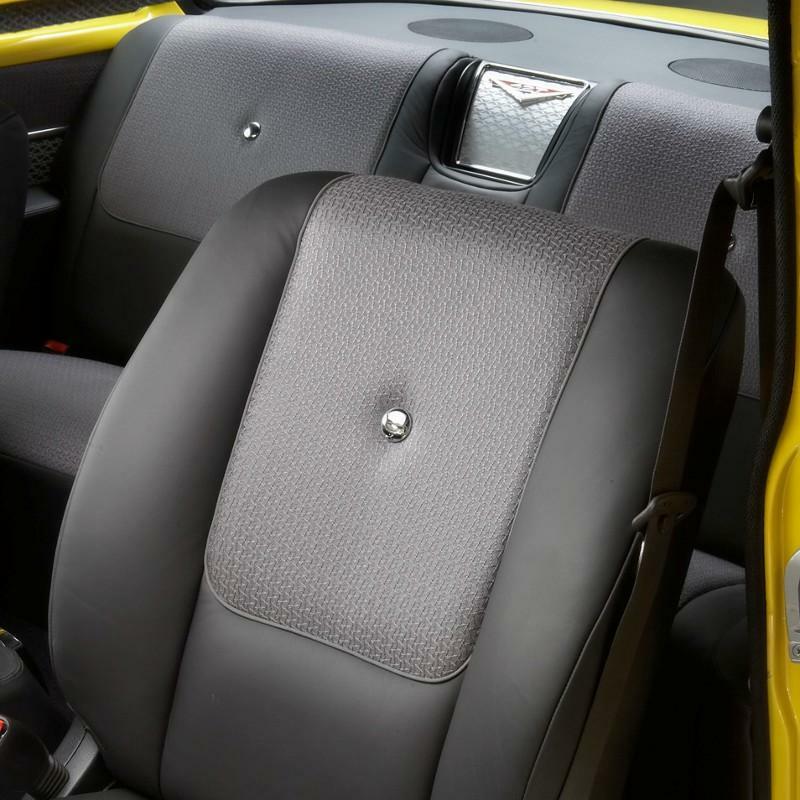 All the seats are covered in rich, black leather with grey cloth inserts. 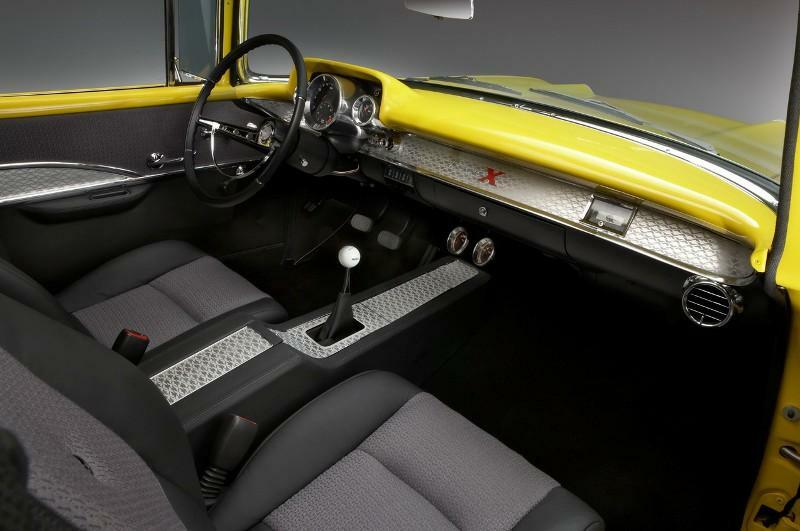 Rising out of the console is a classic Hurst shifter that is used to stir the Richmond five-speed. Additional interior details include door panel trim that mimics the design of the exterior trim, a sporty steering wheel from a 1963 Impala SS and a ’64 Impala center console that was widened to fit the space between the late-model STS seats. 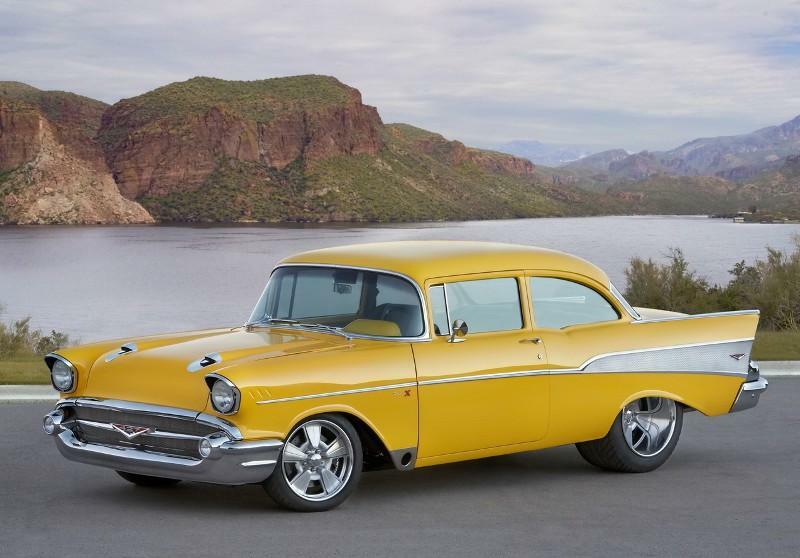 They’re connected to the original-type manual window cranks, which require only a quarter-turn to lower or raise the windows, giving the interior a great blend of vintage style and modern technology. Some of Project X’s best interior details are hidden in plain sight, including the power window switches. A Kenwood audio system is also hidden in the interior and it is operated via an overhead touch-screen control panel. The panel also contains controls for the exhaust cut-outs, fog lights and trunk release. Other hidden features are located in the trunk, which was re-done in hand-formed steel, including the wide wheel “tubs”, and incorporates side access panels for storage and to keep the rear-mounted battery out of view.